At the age of five, Brock received Christ as his Lord and Savior while a part of the children’s church service at his church. As he grew, the sense that there was a God-given plan for his life was overwhelming. It was not until the summer after college, however, that a life in ministry laid in front of him. Brock has since served as a youth pastor, executive pastor, interim pastor, and in Christian education. Currently, he is serving as the director of a homeless shelter. Brock and his wife, Carolyn, live in Florence, SC and have one child. Paul was seven years old when he first gave his life to Jesus. The Lord used a teacher and a documentary about Abraham Lincoln to help him realize that Jesus wants to live in our hearts. When Paul was a young man, he entered the United States Air Force. It was there that he first sensed the call to ministry. Since that day, Paul has invested in the lives of kids, and youth, helped lead worship and small groups, and is pursuing chaplaincy in the Air Force Reserves. Paul and his wife, Laura live in Vanceboro, NC with their three children. Phil did not grow up in a Christian home. It was in a dark season during his adolescent years that the light of Christ broke through. Through the intervention of distant family members, Phil was confronted with his own sin, and the forgiveness and hope that is offered through Jesus Christ. It was not long after that he sensed the calling into full time ministry. As he began to serve, God continued to confirm the ministry calling on Phil’s life. Though it has not always been easy, Phil has served in ministry in some way, shape, or form for most of the last 20 years. Recently, he has stepped out in faith in planting a new church. The Rest Stop meets on Tuesday evenings in Rosemount, MN. Phil, his wife, Jennifer, and their four children live in Rosemount, MN. Jayson grew up in a Christian home, with parents who showed him how much Jesus loved him. It was at an early age that he first asked Jesus into his heart. It was not, however, until the end of middle school that he surrendered his life to Christ. In high school, Jayson spent time at a Christian camp, at the recommendation of his youth pastor. It was there that he felt God calling into full time ministry as a youth pastor. 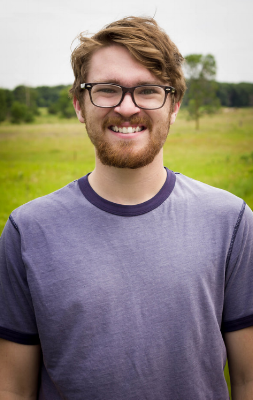 After serving in ministry and pursuing a degree in ministry, he now serves as a youth pastor at Cedar Ridge Church. Jayson resides in Ham Lake, MN.